THE Merdeka Day weekend is long and if you are planning to have family and friends over, why not throw a barbecue party? You definitely want the food to be cooked to perfection. This recipe for Grilled Lamb With Rosemary and Garlic Butter Sauce will be a great addition to the party. If you are not sure what to barbecue and how to start one, here are some helpful grilling tools, tips and recipes. Click here to read more. Oil hot plate and leave it until grill is smoking hot. Brown the entire rack of lamb on the hot plate. Remove from the heat and cut into eight pieces of lamb cutlets. Place butter on hot plate and add garlic and rosemary. 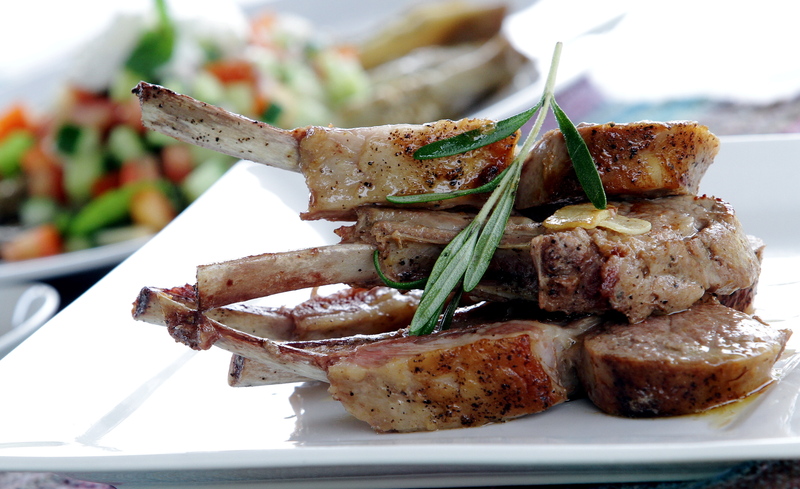 Once you get the aroma, place lamb cutlets on top of garlic and rosemary. Grill both side until brown. Serve lamb cutlet with the leftover butter garlic from the pan and garnish with rosemary.